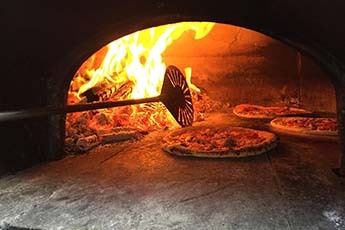 Wood Fired Pizza with Broken Tree Pizza! Come enjoy an evening with us. Multiple dining areas are available; The Loft (our barn), Holly’s Wine Garden (the patio) the Grapevine Pavilion, plus lots of outdoor seating areas among our spacious grounds. Wine, beer, mixers and soft drinks are available for purchase. We only accept reservations for groups of more than 12 and pizzas are sold on “first come, first serve basis” in order to be fair to everyone.